Paris, France. 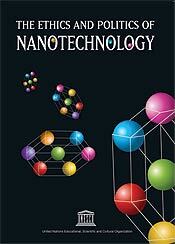 UNESCO has published a report that assesses the ethical, legal and political aspects of nanotechnology. It attempts to separate the realistic potential of nanotechnology from some of the more fanciful headline-grabbing claims. It outlines what the science of nanotechnology is, and presents some of the issues facing the international community in the near future. Chapters cover the current status of nanotechnology and where nanotechnology will intersect with existing policy issues and ethical dilemmas. It assesses the top ten applications of nanotechnology and lists their relationship to the UN Millennium Development Goals (MDGs). The report says that the most pressing current issues are toxicity and exposure to humans and the environment. This produces ethical issues due to the new forms of hazard or exposure risks, which create new questions about how to deal with them. Current means of risk assessment do "not address any wider issues of the ethical or political meaning of this risk — such as who will bear it, how it will be distributed internationally, and who will be given the power to make decisions based on these analyses." It covers measures in the EU and the USA to deal with safety aspects and lists the twelve recommendations from from the European Commission’s Consumer Protectorate Directive. prohibitive costs". It particular, it warns about business-method patents, which are "a good example of overzealous expansionism in intellectual property". These patents give broad rights to corporations that convert established processes into computerised processes — such as online auctions and online shopping. that help solve the most pressing needs for the greatest number of people.